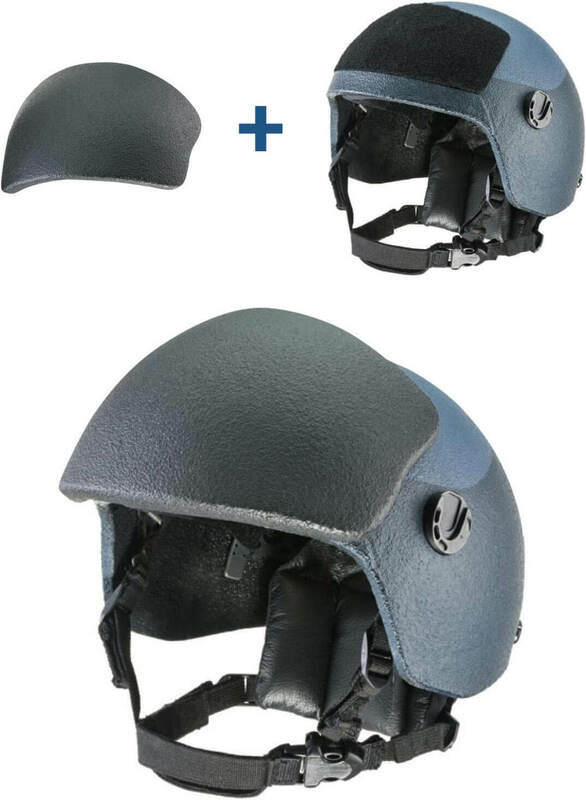 Weighs only 500 grams and still delivers top performance: The modular and retrofittable shield for all ULBRICHTS helmets enhances the vulnerable frontal head area. In combination with a titanium or titaniumaramide helmet (hybrid), it stops and reduces the enormous energy of a Kalashnikov iron core projectile to survivable levels below 25 joules. Terrorists regard long weapons of the Kalashnikov type as their armaments of choice. No assault rifle is as widespread worldwide and can easily get into the wrong hands. The ammunition used is mostly the extremely powerful 7.62×39 iron core (VPAM 6). The 2015 attacks in Paris tragically prove this. 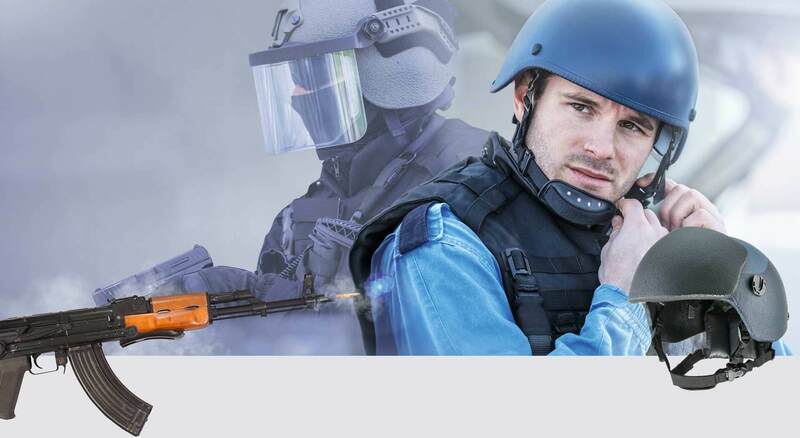 ULBRICHTS Protection’s VPAM-6 end shield combined with ULBRICHTS Protection titanium helmets provide the world’s first effective protection against Kalashnikov gunfire. Due to the enormous firepower of a Kalashnikov, police forces have lacked effective head protection. Effective means that the projectile not only has to be reliably stopped. It is equally important for the helmet to prevent fatal trauma to the helmet wearer. Experts have defined a residual energy value of 25 joules and set this down in guidelines which must not be exceeded in the gunshot test. 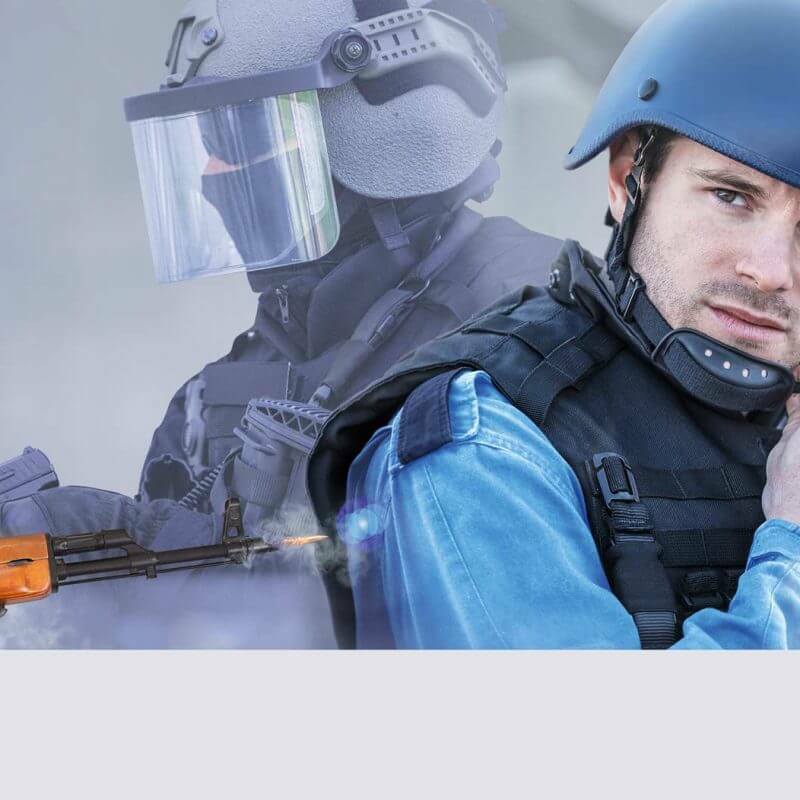 In combination with a titanium or titaniumaramide helmet (hybrid), the VPAM-6 face shield is able to reduce the projectile energy from more than 2,000 joules to well below 25 joules. An official test report proves that a lead-core bullet was not used and that the bullet velocity required by test level VPAM 6 was not reduced. The shield can be attached or removed in a matter of seconds. It is securely fastened using velcro. This technology makes it possible to retrofit all ULBRICHTS titanium helmets with the additional protection and thus significantly improve head protection.